I LOVE this recipe! I’ve been obsessed with vegan bacon since playing with the Baconish cookbook by Leinana Two Moons. 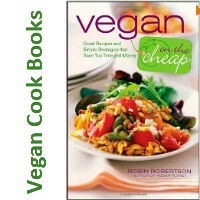 I’m thrilled that her publisher has agreed to share this super yummy vegan bacon bits recipe with us! From Baconish © 2016 by Leinana Two Moons. Used with permission from Vegan Heritage Press. 1. In a medium bowl, whisk together the boiling water, tamari, maple syrup, liquid smoke, ketchup, garlic powder, and onion powder. Mix in the TVP and stir until it is evenly coated. 2. Heat the oil in a large skillet (preferably cast iron). Add the TVP and cook until it is dry, dark brown, and crispy, 8 to 10 minutes. Stir frequently to prevent burning. 3. Remove the skillet from the heat and allow the TVP to cool. Store Baconish Bits in an airtight container about 1 week. 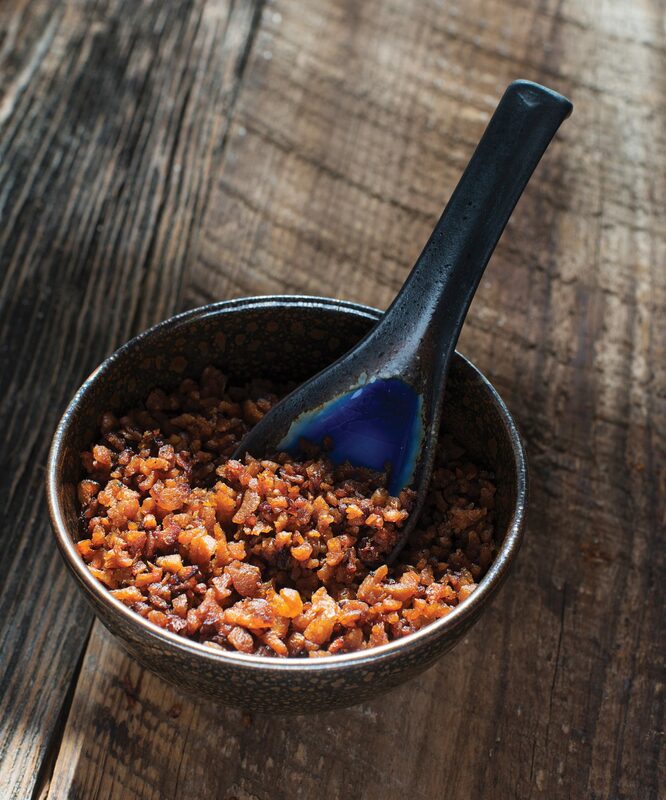 Let us know what you think of this easy vegan recipe: Baconish Bits!